We're excited to announce our biggest update yet! We've rebuilt the DreamerMade community from scratch to make it faster and offer the features our members asked for. We figured it might be a good idea to give the community a way to talk to each other so don't be surprised if that yellow bell actually lights up. 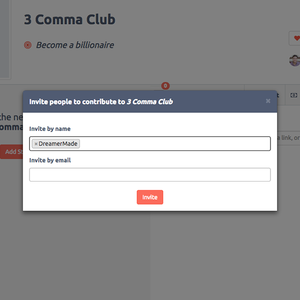 You can now invite people to your project by name (if registered) or by email. Now you can request to join a private project and approve or ignore those requests as a project creator. You can now suggest steps on projects where you have access and are not the owner. As project creator you can choose to make the suggested step available or not. If you do, it will be opened for other members of your project to contribute to it. 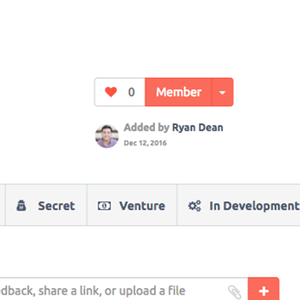 Now you can easily keep track of the projects you're a member of from your My Projects page. Add topics to your projects so others can find them easier + explore projects by topics you're passionate about. Projects are now automatically set to SECRET visibility when first created. You can change this at any time under your project settings. If you see something not working or have an idea how to make a part of the community better, add a comment here or better yet mention it on our project DreamerMade Development.